BallotBox is an iPhone app developed by Jack Adamson. Its goal is simple: to give users a simple way to quickly create and share polls. Whether you want to start a conversation about big political questions or silly personal habits, BallotBox is a useful tool that lets you pose the questions that matter most to you, and then analyze the demographics behind the results you receive. While BallotBox may not have the refined design and social appeal of similar apps like Thumb, it more than makes up for its shortcoming in design with a more robust polling system. BallotBox offers a ton of ballot options for you to vote on, including questions about current affairs and general trivia. Analysis of your poll is fairly easy. Just look at your Results page, and you can see the overall voting breakdown, or further analyze your responses by region, gender, age, income, or education. You can then share the results of your BallotBox poll with your friends on Facebook and Twitter, or by attaching the results to an email. 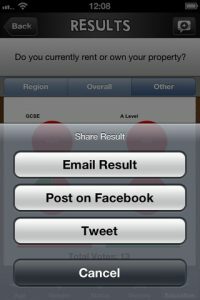 Just click on the Share icon in the top right hand corner of the results page. 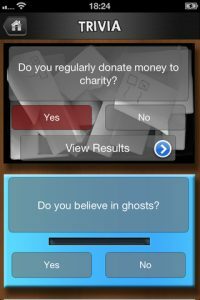 The developers also allow users to send in requests for new ballots every day, in the event that you want to pose a question to a larger audience. If your privacy is important to you, good news. BallotBox’s developer has pledged to never share your individual info with third parties. You can provide an email when signing up, but you also have the option of staying anonymous. 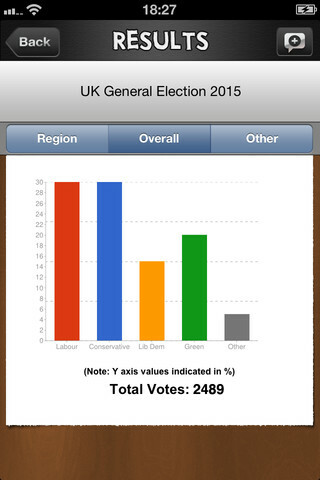 In short, BallotBox is a fun app that is cheap, simple to use, and just plain interesting! 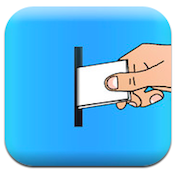 BallotBoxis compatible with iPhone, iPod touch and iPad. Requires iOS 4.0 or later.